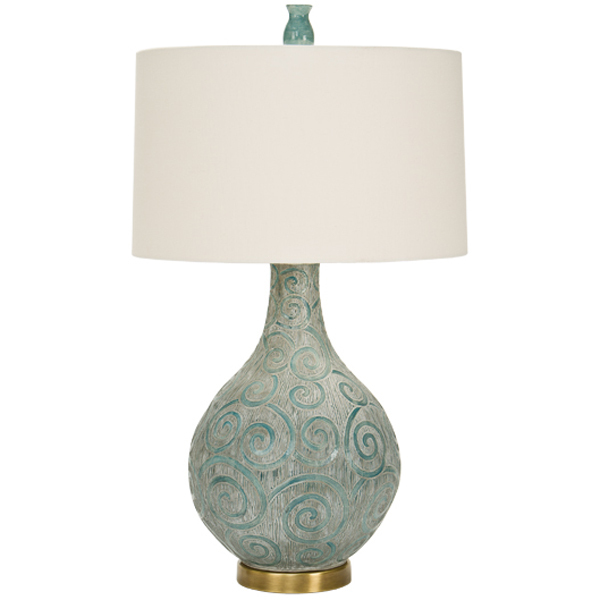 Joyful swirls of uplifting movement adorn a new collection of pottery lamps from The Natural Light. 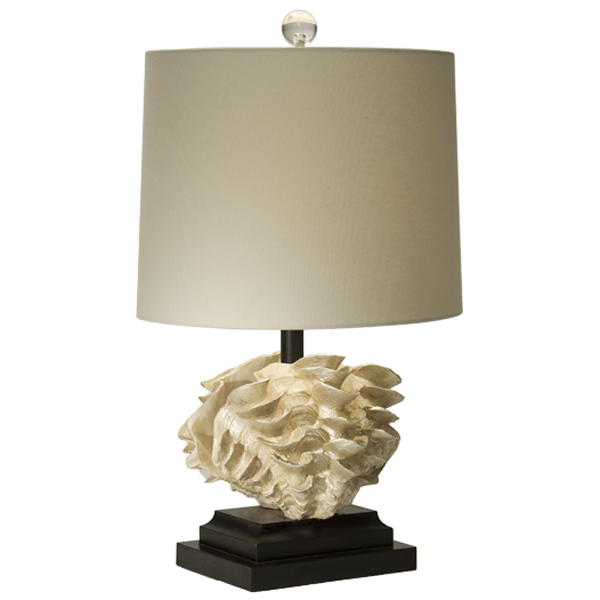 The Suzette lamp and its companion shape Simone are available in two colors. Gris is a wild dove shade of warm gray. The second color is Bleu, a waterfall shade of soothing blue-green. 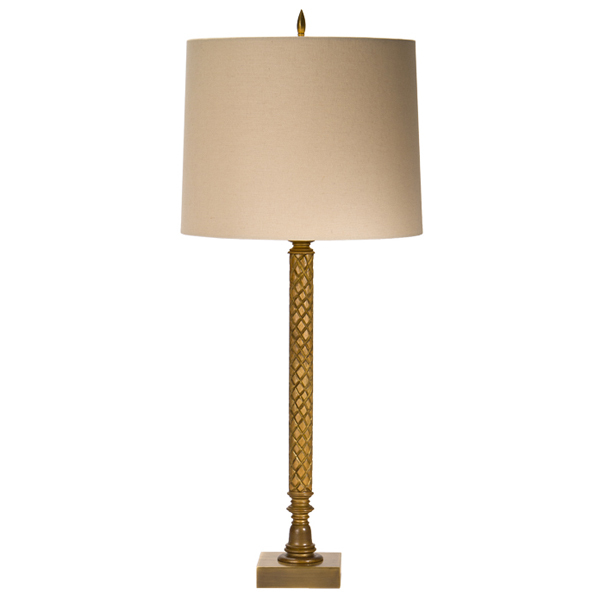 These graciously sized lamps are offered with antique brass or polished nickel mountings. Each is finished with a drum shade made of Sailcloth White fabric.